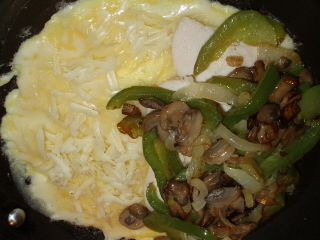 If you want to learn how to make an omelet, use this basic omelet recipe to create a delicious omelet using all of your favorite ingredients. You are only limited by your imagination. 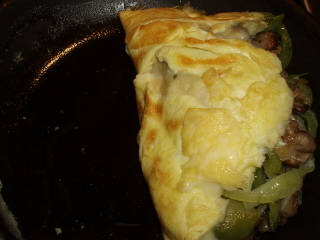 I made a chicken cheese steak omelet using Vidalia onions, mushrooms, green peppers, chicken and Monterrey Jack Cheese for this omelet. I also like to substitute leftover Rib eye steak that I cooked on the grill for the chicken but you can use any combination of your favorite ingredients. 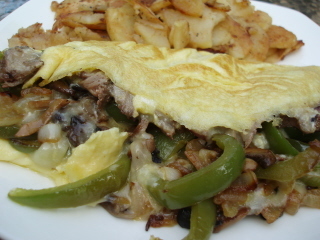 You can even add pizza sauce to this omelet for a wonderful “Italian” twist. 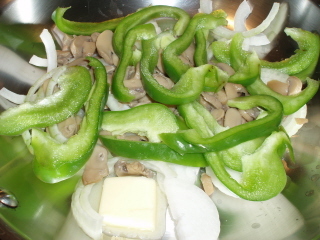 Place all of the stuffing ingredients in a medium skillet. 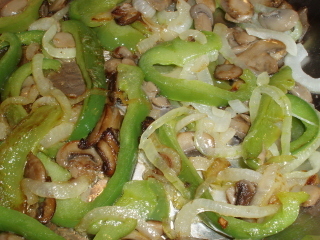 Saute until onions and peppers are soft. Set aside. 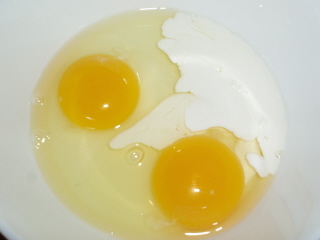 In a small bowl, break the two eggs and add the half and half. 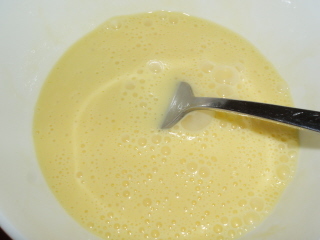 Whisk until all of the egg whites disappear. 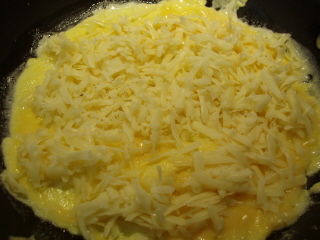 In a 9-inch non-stick skillet, over medium low heat, melt the butter and slowly pour the egg mixture into the pan. 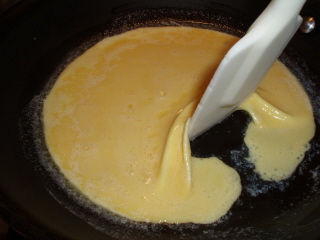 As the eggs begin to firm up, use a rubber heat safe spatula to lift the edges of the omelet and allow the uncooked egg to run underneath. 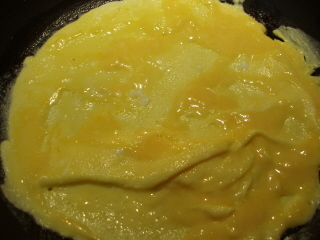 Once most of the egg is cooked, TURN OFF THE HEAT. 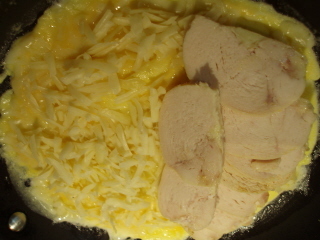 Add the chicken or steak on 1/2 of the omelet. Cover the chicken with the sauteed vegetables. 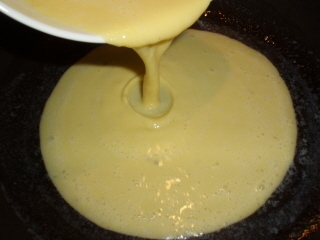 Use your spatula to carefully fold the omelet or you can slide it out of the pan stuffing side first onto your plate and use your pan to fold the omelet in half. Enjoy!